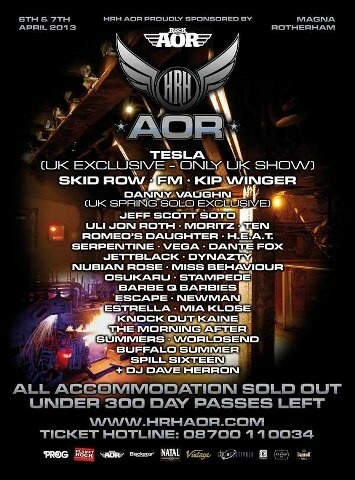 HRH AOR music festival will take place at MAGNA Science Adventure Centre in Rotherham UK on April 6th and 7th. The line-up for 2 days is as follows. See the latest info on HRH AOR website.